Button design is a science. Well-designed buttons gain more clicks, leading to higher conversion rates for your site. For this week’s Weekly Freebies, install minimalist, elegant CSS3 buttons on your site – with just a few lines of code. The buttons are sleek and modern, with a thin, rounded border and smooth animation on hover. They are super easy to install and easily customizable. And that’s all! Easy, right? 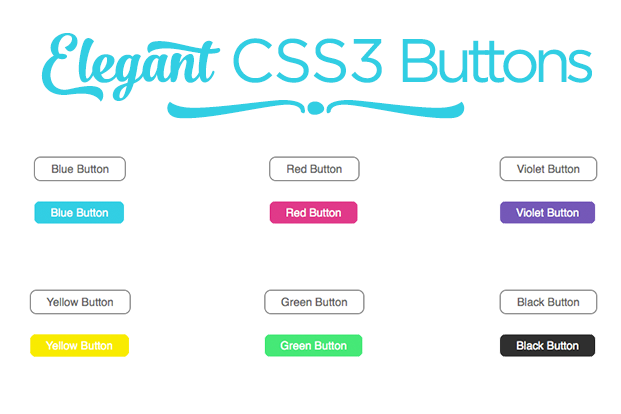 If you need ideas on how to use or customize the buttons, check out the elegant css3 buttons in action on my website.